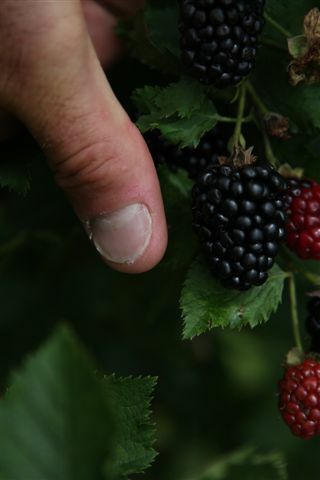 Many of the blackberries we grow at Chautauqua Hill s Farm reach the size of a man’s thumb at maturity! 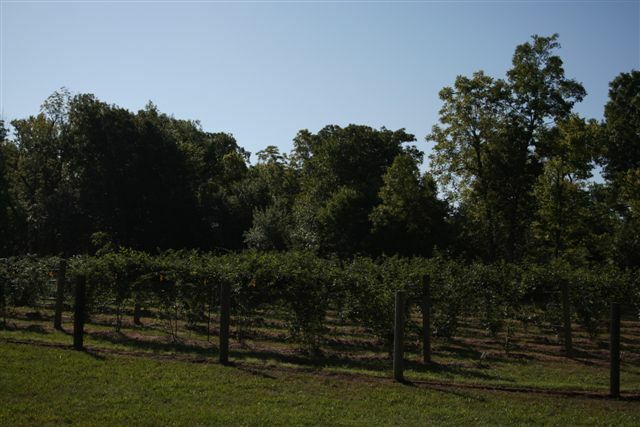 We’ve carefully chosen the varieties we grow here on the farm, and you’ll find the berries are thornless and seem almost seedless when ripe. 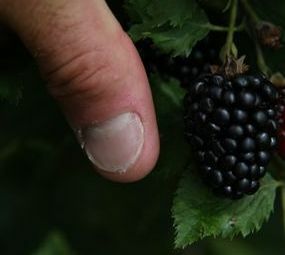 Some we pick simply melt in your mouth and you’ll be hard pressed to detect any seeds in them at all. 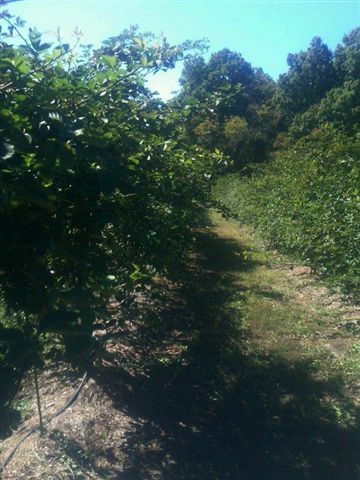 We’ve taken great care to give our blackberries the best structural trellising. While often overlooked because of the expense involved, this is necessary to provide support for each year’s primocane growth as well as the necessary strength for the fruit-bearing duocanes, which can become quite heavy once fruit production begins. 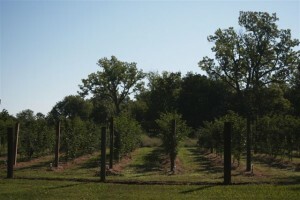 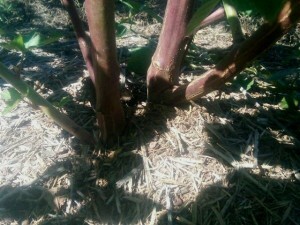 It is not uncommon for our primocanes to have a base diameter of 2″ and cane length of up to 30′. 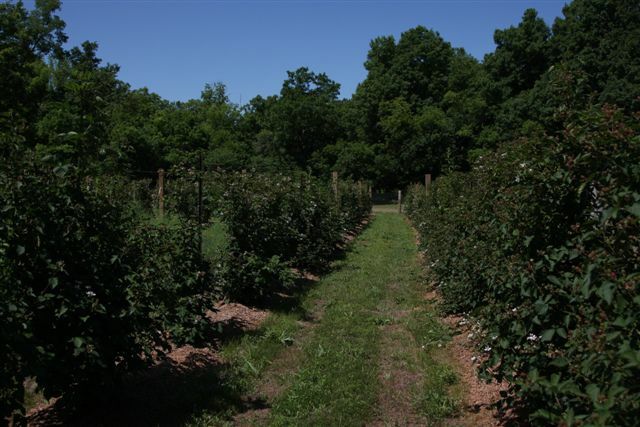 Since our varieties are thornless, trellised for easy access, and have mowed alleyways in-between each row, the picking is easy and requires virtually no kneeling! 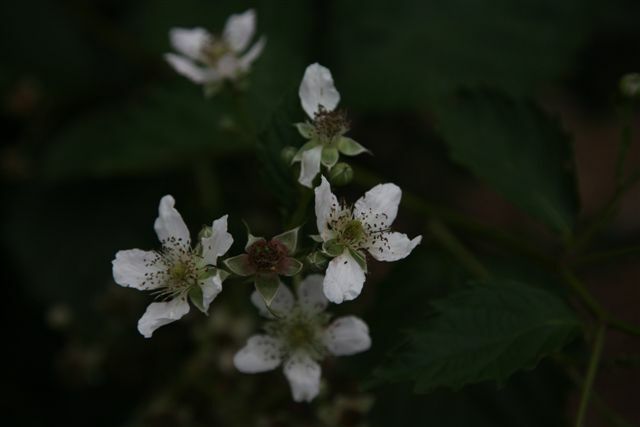 Our blackberries typically begin to ripen in late June each year and continue into July. 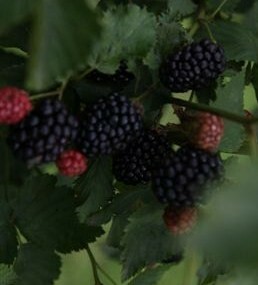 Whether you like your blackberries sweet, a little tart, or somewhere in-between, we have the quality and fresh-from-the-vine taste and flavor that is hard to beat. 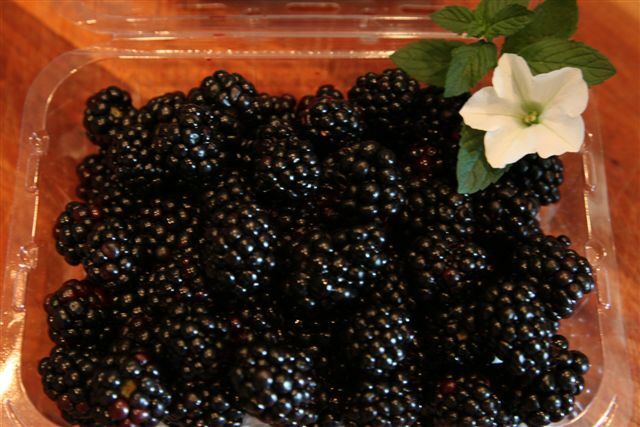 The rich mix of flavors in our blackberries is tough to beat in a pie, cobbler, or chutney. 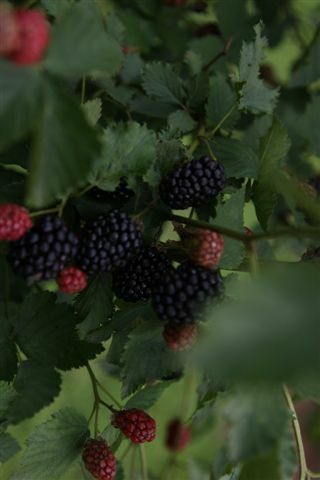 Once you try Chautauqua Hills Farm blackberries, we doubt you’ll ever be satisfied with store-bought berries again!